In case you haven’t noticed, our winters here in Charlotte are relatively mild. That means that leaves will fall and accumulate on your deck all the way into January. If you’re not careful and allow the leaves to stick around, then you’re most certainly going to experience discoloration on your deck or patio surface. Leaves, dirt, foot traffic and precipitation all are key components to discoloring your outdoor surfaces. If your deck or paver patio is looking grimy and years older than its actual age, call the deck and patio cleaning, staining and sealing experts at Renew Crew of Charlotte today at 704-445-3210! Unlike most deck and patio cleaning companies in Charlotte, we don’t simply pressure wash your outdoor surfaces with brute force and then consider it completed. We utilize a proprietary cleaning solution that will seep into the pores of your deck or patio and will cause the discoloring agents to rise to the surface. We’ll then further agitate those discoloring agents and finally, rinse them off using the appropriate amount of water pressure. 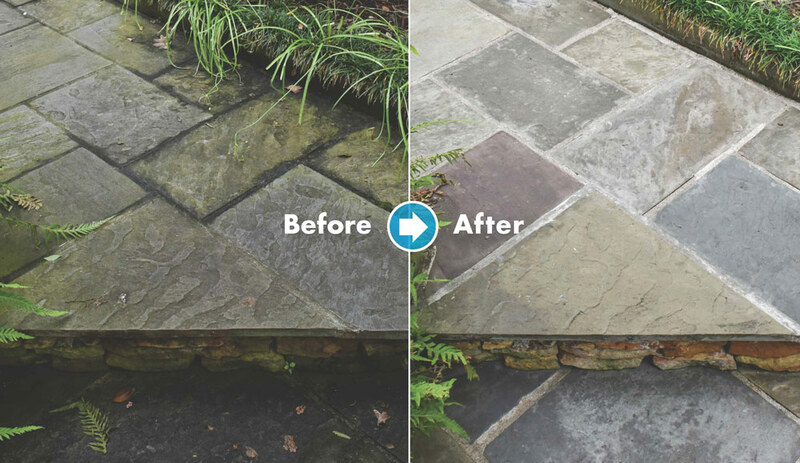 After we’ve done this, your outdoor surfaces will look as good as new already! After removing the discoloring agents from your deck or patio, we’ll then apply our deck stain and sealant (sealant only for paver patios), which will keep your deck or paver patio looking great for years to come. The reason your deck or patio will remain looking so great is the sealant will protect your deck or patio from discoloring agents. While the sealants are designed to protect your deck or patio, they’ll also leave them looking breathtakingly spectacular! If you’re looking for a professional deck staining, deck cleaning or patio cleaning and sealing company in Charlotte, NC, call Renew Crew of Charlotte today at 704-445-3210 or email us at [email protected]. We look forward to hearing from you soon!